Fiona is an extremley professional and talented designer who offered sound advice and recommendations to improve our business premises. She provided inspiring digital mood boards and samples which made making choices easy. She also visited regularly to ensure the project was running smoothly. The offices have completey transformed, covering alternative design layout, new colour schemes and furniture as well as soft furnishings including artwork and plants. 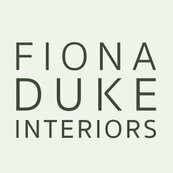 We are extremely happy with the results and would not hesitate to recommend Fiona Duke Interiors.